Since the current Chinese government came into power, it has put forward 60 articles of reform and created at least three new leading groups on reform. The administration has made it its mission to fight corruption and institute reform, and no one can accuse these efforts of being weak or superficial. The government has won much praise, but worries and suspicions remain. Many think that President Xi Jinping is strong enough to push his agenda, whether anti-corruption or reform, with irresistible force, ignoring all barriers and difficulties that stand in the way. It is difficult to reform, and even more difficult to conduct true reforms. In my previous article “Why Do China’s Reforms All Fail?” I pointed out that there have been few really successful reforms in China’s history. Instead, if reform efforts weren’t hijacked by conservative forces and interest groups, they were forestalled by genuine or fake “revolutions.” The failure of reforms is certainly connected to the will and capability of “reformers,” but the most important reason for failure is obstructionism from extremist forces and interest groups. Today, looking at recent events, I want to provide a simple overview of how these forces interfere and obstruct the adjustment of various government policies. From Xinjiang to China-U.S. relations, we can see how difficult it is to reform government policies. First, Xinjiang. When President Xi visited Xinjiang, his roadmap for the region was fairly clear: on the one hand, govern Xinjiang flexibly, with a focus on economic development and ethnic integration; on the other hand, give no lenience to terrorists. A small number of terrorists will not affect Beijing’s minority policies: sticking to economic development (including the employment and education of minorities), speeding up the construction of major projects that benefit all ethnic groups, raising the level of involvement local governments have in developing and utilizing resources, and speeding up the opening of Xinjiang. These proposals demonstrate the leadership’s efforts to explore ethnic policies and governance models that suit China’s present conditions. These reform measures, which obviously consider and benefit all ethnic groups, can be understood and supported by the overwhelming majority of people. Nevertheless, after several terrorist attacks, some domestic media outlets (especially those from Hong Kong and from several think tanks) started to use extreme statements, calling for Beijing to “crack down hard,” reinstate the policy of “guilt by association,” and “kill one to warn 100,” etc. They rejected the existing ethnic policies, including the “flexible governance” policy that focused on economic development, collective prosperity and ethnic harmony. Instead, these media outlets demanded that the authorities adopt extreme ethnic policies that are obviously against humanity’s most basic moral standards and values. At the same time, there are even some people taking this as an opportunity to extend their power. These factors make it difficult for Xi to adjust his Xinjiang policy as planned. But if China reacts to these terrorist acts by changing its effective ethnic policies and even going against history, isn’t this just playing into the terrorists’ hands? This might just be the goal of the terrorists, who don’t want to see economic development and ethnic integration! Now, let’s look at “building a new type of great power relationship” between China and the U.S. This is another strategic choice made by this administration, a choice that is even more in line with China’s economic development and achieving the “Chinese Dream.” However, things don’t always go according to plan. There has long been a faction within the U.S. attempting to stir up China-U.S. conflict. In addition, every time a U.S. election year draw close, China-U.S. relations turn into a trump card in the struggle between America’s two political parties. Building a new type of great power relationship can’t progress smoothly, and even might regress each time it experiences challenges. Under these circumstances, some irresponsible and extremist ideas from both Chinese and foreigners are making a comeback, and they can often drown out temperate and rational voices. If our leaders can’t remain calm, then the idea of a win-win China-U.S. relationship without conflict or confrontation will just be pie in the sky. China definitely does not fear the U.S., but how is it in China’s interests to have a China-U.S. confrontation or even a new Cold War? How would that be in the interests of the common people, who have just seen their lives improve a bit, and have only enjoyed a brief period of stability? In other foreign policy initiatives (the Maritime Silk Road, “good neighbor” relations and China-Japan relations), the current administration has adjusted policy in a fairly rational and practical way. After years of observing China’s policies, I believe that such adjustments are a good fit with China’s national interests. They are helping to further China’s reform and opening up process, and will benefit the Chinese people. But implementing these policies has been difficult as they have encountered resistance both at home and abroad. For one thing, public discussions in China have long nurtured an attention-grabbing brand of extremism. But even without this, neighboring countries like Vietnam, the Philippines, and Japan will not totally accept China’s “good neighbor” policy adjustments. 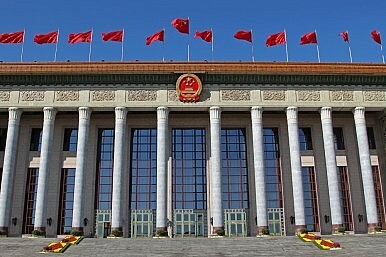 Under these circumstances, if China’s leaders want to withstand these various pressures and hold fast to those peaceful, rational foreign policies that conform to China’s national interests, they will not only need to be far-sighted, but even more will need to have the guts not to give in to popular opinion. When looking at the difficulties besetting Xi’s reforms, we have to mention the extremist thinking on both sides: the left and the right. Many times, we’ve seen this phenomenon play out: when the authorities launch a reform initiative, the extreme left immediately whines and complains and demands a return to the past — even all the way back to the days of Qin Shihuang. Meanwhile the extreme right do not remain idle. They aren’t willing to really understand what’s going on; instead they complain that the reforms are delaying and defanging their precious “revolution.” Thus they oppose the very reforms that would benefit the people and the country through steady but incremental progress. Reform is like sailing upstream: if you’re not making progress, you’re going backwards. The key to successful reform lies in a leader’s determination and in the road he chooses. But there’s another key to reforms: whether or not they gain the support of the people. Reformers have a responsibility to get more people involved, and to make more people benefit from the reforms. Likewise, temperate and rational people have a responsibility to express their own opinions on the progress of the reforms, urging the authorities to stay on the proper path and firmly rejecting the attempts by extremists on both sides to hijack and damage the reforms. Plus, dueling human rights reports, an attack on a former Hong Kong editor, and Xi's vision for reform. Friday China links. In Xinjiang, China’s 'Neo-Totalitarian' Turn Is Already a RealityWhat Did Xi Jinping Say to Donald Trump?3 Directives From China's President That Aren't Being FollowedThe Anti-Corruption Drive and Risk of Policy Paralysis in ChinaWho Opposes China's Reforms?